Click here to visit the Tinkertoy facebook and like them. Then on the “Win In A Snap” tab, click “Play To Win” and allow their app (you can delete it right after). Then just play their game to see if you’re an instant winner. 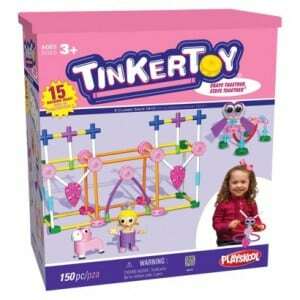 100 lucky winners will score a free Tinkertoy building set. Even if you’re not a winner, no worries because you’ll still be entered into their $1,000 grand prize drawing. You can enter daily through October 20th. Good luck! One Sweepstakes Grand Prize: $1,000 prize awarded in the form of a check payable to the Grand Prize Winner.